Thirty years ago there was another Royal Wedding and BBC Radio 5 Live has this week been recalling the events and people of 1981. 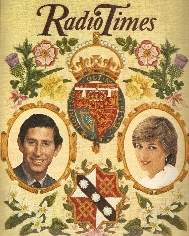 I have no audio from the radio coverage of Charles and Diana’s wedding day; I recall that we watched much of it on TV and then went round to a friends and had a few beers in their back garden. But let’s look how BBC Radio broadcast the events of Wednesday 29 July 1981. The main coverage was between 7.30 a.m. and 2 p.m. on Radio 2 and simultaneously with Radio 4 from 9.45 a.m. Terry Wogan kicked things off with his show from outside Buckingham Palace. The main event was introduced by Richard Burton, yes that Richard Burton. 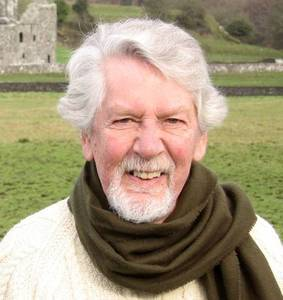 He told Radio Times that “I will be writing my own script, and using my own acting knowledge of Shakespearian notables to flavour it.” Commentary was also provided by experienced broadcasters: Wynford Vaughan-Thomas, Alun Williams, Peter Jones, Brian Johnston and Robert Hudson (the radio equivalent of TV’s Tom Fleming) – all sadly no longer with us. Providing the contrast was Rolf Harris and Lorraine Chase! On Radio 1 that day Mike Read was on The Breakfast Show between 7&9 out on the streets of London, although he found the streets pretty empty as everyone was packed on The Mall. Following Mike was Simon Bates including a feature on royal brides throughout the ages. At 11 a.m. Andy Peebles hosted the Roadshow from Trafalgar Square. After Newsbeat with Peter Mayne it was back to business as usual with Paul Burnett, DLT and Peter Powell. At 8 p.m. an hour of comedy with Griff Rhys Jones and Mel Smith chatting and playing their favourite records in Not the Nuptials. The evening continued with Richard Skinner and John Peel. Radio 2 opened at 5 a.m. with Steve Jones on The Early Show followed by Wogan. The normal schedule would’ve been Jimmy Young at 10 and John Dunn at noon but they got the day off. Ed Stewart followed at 2 p.m. including Racing from Goodwood. The rest of day ran as follows: David Hamilton, David Symonds with Much More Music, Listen to the Band, Alan Dell with Dance Band Days, Among Your Souvenirs with Alan Keith, Stop the World (a comedy hosted by Francis Matthews), Hubert Gregg, Brain Matthew with Round Midnight, Truckers’ Hour with Sheila Tracy and You and the Night and the Music with Patrick Lunt. Radio 4 started the day with Today – John Timpson and Libby Purves out and about in London and Brain Redhead in the studio. After the wedding coverage Robin Day presented The World at One thereafter the network ran a normal schedule – The Archers, Afternoon Theatre, Story Time, PM, Checkpoint, Kaleidoscope, The World Tonight and The Book at Bedtime. At 11.15 p.m. Richard Burton returned to reflect on the royal event in A Day to Remember. Radio 3 didn’t ignore events and chose to broadcast the Bavarian Royal Wedding of 1568 in three chunks throughout the day. The marriage of Duke Wilhelm of Bavaria and Princess Renee of Lorraine was a grand event that went on for about two weeks. The music was by Orlando di Lassus and the event chronicled by Massimo Troiano. The narration for the programme was provided by Leo McKern and Cyril Shaps. At 7.30 p.m. there was also a Royal Wedding Promenade Concert with music by Stravinsky and Mendelssohn’s Incidental Music to A Midsummer Night’s Dream with its now familiar Wedding March. This piece is also played today on Radio 3 by the Ulster Orchestra, seemingly the only constant with the radio schedule of 30 years ago. When BBC Radio 1 and 2 started in 1967 many of the programmes transferred over from the old Light Programme as did most of the presentation team. So you could still hear the likes of Robin Boyle, Roger Moffat, John Dunn, Bruce Wyndham and Peter Latham reading the news and linking the programmes. The team was soon joined by the some ex-pirates such as Keith Skues and Colin Nicol. 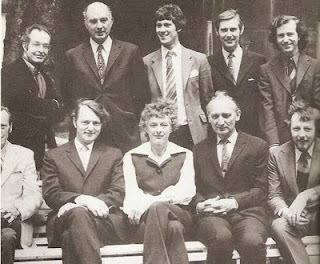 By 1972 the combination of a separate Radio 1 & 2 Presentation team, under the management of Jimmy Kingsbury, and the start of commercial radio, to which a number of BBC staff moved to, led to a shake-up of the team and the recruitment of some new voices. The Presentation Team covered the newsreading and announcing shifts on both networks, hence the introduction of news on the half-hour on Radio 1 to allow the newsreader to work on both stations. This pattern lasted into the 1980s, though from 1978 the Newsbeat team – at the time Laurie Mayer, Richard Skinner, John Walmsley (no relation), Peter Mayne and Stephen Cape - started to read more Radio 1 only daytime and evening bulletins. The Radio 2 announcers would also work on Breakfast Special, The Early Show and Night Ride and often presented shows featuring the BBC Radio Orchestras. They continued to be presenters of mainly late night shows, presumably when audiences were smaller, on programmes such as Music Through Midnight, The Late Show and You and the Night and the Music, which from 1979 closed the gap between 2 and 5 a.m.
For these two linked posts we pick up the story in 1976, as my recordings start from this year. Below I’ve listed all those, that I’m aware of, that have announced or read the news on Radio 2 from 1976 onwards. In this first edit of the posts I’ve gone up to about 1982. I’m already working on adding Charles Nove, Nick Page, Alan Dedicoat, Paul Leighton, Steve Madden, John Marsh, Hilary Osbourn and others. In the meantime if you have any clips of news summaries or continuity that you’d like to contribute please contact me. In particular if you have any audio from the early 70s then I can start to go back further in time. Also if you’re an ex-announcer on the network I’d love to hear from you too. Below are surnames A-K. For L to Z see this related post. BFBS in Malta from May 1975 then Radio 2 from March 1978 into 1980s. Presenter of You and the Night and the Music. Worked for the BBC’s Drama team in Leeds under renown producer Alfred Bradley. Joined Pennine Radio in Bradford September 1975 hosting the Late Night Show then Artweek, Rock Show and Album Review Show. Moved to Radio Leeds as co-presenter of the Saturday Show. Joined Radio 2 in March 1979. Presenter of You and the Night and the Music. Also a novelist. Ran an English Radio Station from Jeddah. Returned to UK and worked on Radio 4 including Today and Start the Week. Also contributed to Radio 1’s Scene and Heard. Joined Radio 2 in 1974 as announcer/newsreader. Presenter Star Sound, Night Ride, Music to Midnight, You and the Night and the Music. Also presented The Lively Arts and Science in Action on the BBC World Service. Left in 1992. Now writes for The Oxford Times. Worked in advertising at Granada and Westward TV before joining Radio Caroline. Acted as relief presenter and newsreader on Caroline South from 1965. Back on land he worked as a music plugger, then announcer at HTV. Back to radio joining BBC Radio Medway and then the promotions department at Radio 1 before going to Radio 2 as newsreader/announcer in 1973. Long running presenter of The Early Show. Also hosted Night Ride, Music Through Midnight, Music to Midnight, You and the Night and the Music, Band Parade, European Pop Jury and Europe 80. Retired from the BBC in 2006 but still pops up on the occasional news summary making Colin the longest-serving Radio 2 newsreader still on air and the second longest serving on network radio after Peter Donaldson, also “retired” but still working on Radio 4. Can also be heard on occasion on BBC Three Counties Radio. Broadcasting career started in 1945 on BFN in Hamburg as announcer then Head of Presentation. Joined BBC in 1947 occasionally presenting Family Favourites from Hamburg than announcer on all networks but mainly on the Light. Best known for presenting Friday Night is Music Night, but also worked on Today (where he was one of the first presenters), Sunday Special, Hancock’s Half Hour, The Navy Lark, Those Were the Day, The Musical World of…, Night Ride, Marching and Waltzing, Band Parade, Glamorous Nights. Retired in 1987 but continued presenting as freelance. Died in 2003. An announcer on Radio 3 when, as Alma Bickerton, she was given a try out on the station. Transferred BBC TV and then for a while on Radio 2 in 1976 and 1977 before moving to BBC Scotland an announcer. See Alma on BBC TV here. Former actor (including The New Avengers and Softly Softly) who had a short spell as a radio continuity announcer, newsreader and presenter (on Radio 2 from March 1979 than on Radio 4) before joining Esther on BBC 1’s That’s Life which he co-presented from 1982 to 1994. Later worked on LBC and Radio 5. ATV and Central in-vision continuity announcer, who went on to head up Central's own in-house training company. A short spell on Radio 2 between November 1980 and January 1981. Started on BFBS in Cyprus in June 1962 as announcer and occasional presenter of Two-Way Family Favourites. Joined Radios 1 & 2 announcing team in 1974. 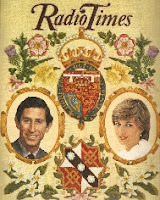 Final presenter of Family Favourites until 1980, also on Music Through Midnight, Music to Midnight, The Late Show, Radio Orchestra shows, String Sound, You and the Night and the Music and Nightride. Also an actress appearing in minor roles often in sitcoms. Started broadcasting while at Leeds University in the 60s. Joined BFBS in Cyprus in April 1974. On Radio 2 from December 1977. One of the presenters of You and the Night and the Music, String Sound and Music from the Shows. Regular announcer on The News Huddlines until 2001. Joined Radio 2 mid-70s as announcer and newsreader. Presenter of the The Late Show, You and the Night and the Music and Folk 78. Ceased announcing duties in July 1979. Later a producer at the station for David Jacobs, Anne Robinson and A Little Night Music. By 1996 producer on Woman’s Hour. Also a folk singer. Announcer with the British Forces Network in Germany and occasional presenter on Two-Way Family Favourites. 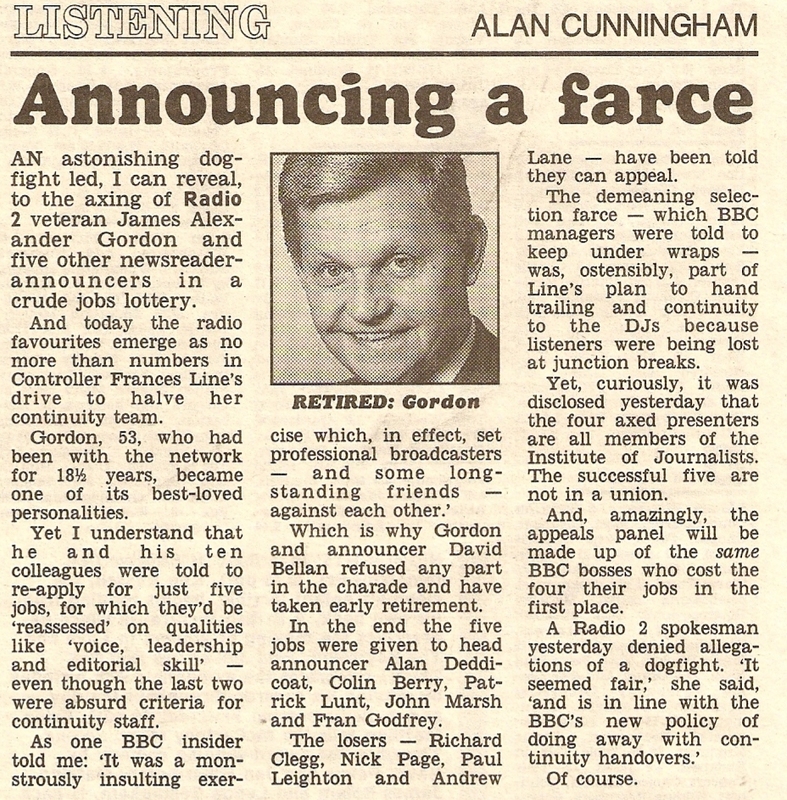 Radio 2 newsreading shifts between June and August 1977. A newsreader and announcer on the Light Programme and Radio 2. I’ll be writing more about John in a separate post at some point in the future. He read his last news bulletins on 30 September 1976 before taking over the teatime/drivetime show from Sam Costa the following week. First broadcast as a teenager in October 1955 on The Light Programme’s The Younger Generation. With the British Forces Broadcasting Services in Germany and Gibraltar during the 60s & early 70s presenting Family Favourites, Time Out, Six-Thirty and reporting for the BFBS on the 1972 Munich Olympics. On Radio 2 from mid-70s and presented Night Ride, Music Through Midnight, Music to Midnight, Saturday Night with the BBC Radio Orchestra, You and the Night and the Music and The Late Show. Regular deputising duties for Terry Wogan, John Dunn, Ed Stewart and David Hamilton. On Radio Medway, Radio Kent, Invicta, LBC, Prime Time, Saga and REM-FM in Spain. First broadcast on About Anglia in 1962 then presenting on Border TV. Joined pirate station Radio City in 1965. Known as “Tatty” Tom Edwards. On Radio Caroline South in 1967. On Radio 1 from 1968 as one of the presenters of Midday Spin, Radio 1 Club and What’s New. In vision tv announcer mainly on Thames. Presented Happy Weekend Everybody and Roundabout East Anglia on the Radio 4 regional service from 1970. On Radio 2 from early 70s as announcer/newsreader. Long-running presenter of The Early Show on Saturday also Music Through Midnight and Radio 2 Ballroom. During the 80s in California on tv and radio. On BBC1 presenting Look East and announcer on Wipeout. Joined the BBC in 1958 working as announcer across the networks. Presented Family Fare, Music is the Air, Music We Love, Serenade in the Night and Just for You on the Light Programme. He left in 1971. In 1973 reading the news on About Anglia. By 1977 working at Independent Radio News. Later at World Service and announcer on LWT. Returned to BBC in July 1981 as newsreader on Radio 2. Started as song plugger moved to Deutsch Grammophon then TV researcher First broadcast on BBC TV’s All Things Considered. Joined Radio 2 in 1971 as announcer/newsreader. Best known for reading the Classified Football Results from 1974 initially sharing the duties with other announcers and then sole reader from 1980s on Radio 2, Radio 5 and Radio 5 Live. Also hosted Brass and Strings, On the Third Beat and You and the Night and the Music. Retired from reading the classifieds in 2013. Worked as newsreader and DJ at BFBS Hamburg. With the BBC from 1952 first on the European Service and then the Light Programme from 1954. Worked on both the Light and Home and subsequently Radio 2 as announcer, newsreader and presenter on programmes such as Music Box, Top of the Form, Midday Spin, Housewives’ Choice, Round the Bend, Saturday Night at the Light, News Time, Swingalong, Out and About, Treble Chance, Melody Hour, Radio 2 Top Tunes,The Late Show and You and the Night and the Music. Freelance from 1965 and then back at Radio 2 on contract from 1976. From 1995 to 2011 reader of the Classified Football Results on Grandstand and Final Score. From 1958 used to read the racing and rugby results on Grandstand. Read the Bleep and Booster stories on Blue Peter. BBC career started in 1959 as a clerk then moved to Australia where he made his first broadcast. Back to UK on Radio 2 in the early 70s later becoming Presentation Editor. Went freelance and also worked training overseas broadcasters. On Radio 2 presenter of Night Ride, Radio 2 Top Tunes, Play It Again, As You Were, Let’s Go Latin, Two’s Best, Folk 74, Sweet n Swing, Music Through Midnight, Music to Midnight’, The Late Show, Nordring Rendezvous, The Magic of the Musicals and You and the Night and the Music. Started on Radio Victory in Portsmouth in August 1975. Joined Radio 2 April 1979. Presenter of You and the Night and the Music and Star Sound, taking over from David Bellan. TV voiceover work on Celebrity Squares and Catchphrase. Mainly newsreader and continuity announcer on Radio 4. Also worked as sports correspondent, read the news on BBC World Service and also on BFBS. Odd shifts on Radio 3 between 1977 and 1979 and occasionally on Radio 1 & 2 between 1976 and 1978 and again in the mid-1980s. On BFBS in Singapore where she also co-hosted Family Favourites. Radio 2 as announcer/newsreader from April 1977 to February 1979 but continued to present occasionally. Hosted You and the Night and the Music and String Sound. On TV most famously Game for a Laugh and then 60 Minutes. Deputised for Terry Wogan in 1983. Returned to Radio 2 in 1992 providing holiday cover for Jimmy Young, Anne Robinson and Gloria Hunniford. Starting in January 1993 became the longest ever presenter of The Early Show (aka Dawn Patrol) until 2010. Announcer on BBC Radio from the 1950s whose broadcasting carrer had started on the British Forces Network in Hamburg. Long-running presenter of Friday Night is Music Night in the 1960s. Also on Tonight at Six, Brass and Strings and Night Ride. Became Presentation Editor for Radio 1 and 2 in 1972. Read the last Shipping Forecast on Radio 2 (1755-1800 22.11.78) when the station moved from 1500m long wave. He also read a further shipping forecast on Radio 2 medium wave, even though it was now carried on Radio 4, on Monday 17 December 1979 when there were problems with the long wave transmitter. Only occasionally on air in the late 70s working final shifts in January 1980. All recordings are my own with the exception of the Radio 1 news bulletins read by Ruth Cubbin and Tom Edwards which come from Azanorak. Biographical information has been compiled from my own notes, internet research and Who’s Who on Radio by Sheila Tracy. This is part two of my listing of BBC Radio 2 announcers and newsreaders. Names A-K are shown on this other post. Announcer Westward TV 1965 then at Granada. Newsreader on Reports West. Presenter on BBC’s Tom Tom and Pebble Mill at One and HTV's Women Only. On Radio 2 November 1978 to February 1980. BBC TV Newsreader 1980-87. Returned as occasional presenter of Radio Orchestra shows in late 1980s. Worked for the BBC in the Gramophone and Music Libraries. First broadcast in 1973 with BFBS in Germany. Joined Radio 2 in August 1978. Presenter of You and the Night and the Music and Nightride. With the network for about 30 years, in later years mainly doing the Sunday night shift. Provided the opening announcement for the BBC1 Six O’clock News between 1984 and 1993. Started at Springbok Radio in South Africa then in UK on Capital Radio as one of the presenters of Night Flight. Radio 2 announcer, newsreader and presenter late 70s and in 1980s. Hosted the Saturday Early Show for a while along with Music from the Movies, the BBC Northern Radio Orchestra shows and You and the Night and the Music. Returned to South Africa working for the South African Broadcasting Association. Now retired living in Ireland. Died in 2013. On Radio 1 &2 in 1976 and 1977. Long time World Service newsreader for 20 years. Capital Radio 604 in South Africa in early 80s. Worked on BBC Radio Oxford. Announcer/newsreader on Radio 2 early 80s, also presenting You and the Night and the Music. Originally a print journalist for 25 years. Founder member of BBC Radio Oxford in 1970. Also worked for BBC Radio Nottingham. Joined Radio 2 in April 1978 as newsreader/announcer and presenter of You and the Night and the Music and Nightride, Easy Does It and The Early Show. Presenter of Test Match Special. Returned to Radio Oxford in 1991 and currently presenting Harmony Nights with wife Angela. Started at BBC in 1970s as a production assistant. In late 1970s became newsreader/announcer on Radio 4 before moving to Radio 2 in March 1980. Left the station in July 1981. Occasional presenter of You and the Night and the Music. Joined BBC TV as newsreader in 1981 before being dropped in 2007. In 2010 re-joined Radio 2 as newsreader on the Chris Evans Breakfast Show. Radio 2 from June 1979 to 1982 as newsreader/announcer and presenter of You and the Night and the Music. In the 80s an announcer on Thames TV and BBC TV and announcer/newsreader at Central TV. Returned to Radio 2 as the “weather girl” on the Derek Jameson Breakfast Show between 1986 and 1991. First broadcast was as the Tracy Sisters in 1958 on In Town Tonight and then Workers Playtime, Mid-Day Music Hall and Saturday Club. BBC TV announcer from February 1961. On Light Programme in February 1963 presenting Late Choice. Also on Melody Fair, Anything Goes and Music for Late Night People. Presented regional tv programmes such as Spotlight South West and South Today. On Radio 4 as announcer from October 1973 and first woman to read the news on BBC national radio on 16 July 1974, more on this here. Joined Radio 2 in January 1977 where she hosted The Late Show, You and the Night and the Music, The Early Show and Saturday Night with the BBC Radio Orchestra. Best known for (a) the Truckers’ Hour - read more on this and hear an edition from 1981 here - and (b) Big Band Special from 1979 to 2001. On Radio 2 as announcer and newsreader November 1978 to April 1979 before moving to Radio 1. Later presenter on Atlantic 252. Came from a theatrical background as the family had connections with Wyndham’s Theatre in London. Was in a character actor in a number of British films in the 30s and early 40s. Joined the Royal Navy, reaching the rank of lieutenant-commander, until 1946. Joined the BBC in 1948 as an announcer on the General Overseas Service, but also working on the Light Programme (Tip Top Tunes, The Band Waggon). Became duty operation assistant in 1959 before moving across to the Light Programme as announcer in 1964. Presented Morning Music and Sunday Best. Was long-running Saturday presenter of Breakfast Special and The Early Show on the Light and Radio 2. Also presented Saturday Swings and Night Ride. Freelance from 1976 when he worked for Radio 210 in Reading and made a brief return to Radio 2 in June 1977 for the odd news reading shift. Moved to Radio Hallam in 1978. Died in Sheffield on 11 July that year. All recordings are my own with the exception of the Radio 1 new bulletin read by Julian Potter which comes from Azanorak. Edit 16 February 2012: Bruce Wyndham. Edit 15 February 2013 Paddy O'Byrne and all audio uploads. This post concentrates on the Radio 3 continuity team of the late 1970s, simply because I have some small clips of audio from that period. When the BBC’s Third Programme started in 1946 it had its own continuity announcing team consisting of Alvar Lidell, Patrick Butler (who made the opening announcement), Christopher Pemberton, Marjorie Anderson (later of Woman’s Hour renown) and, on a part-time basis Denys Drower. By the early 1950s Alvar and Marjorie had left and joining the team were Richard Baker (later of BBC TV news fame), Tom Crowe and Peter Fettes. From around the mid 50s to early 70s announcers potentially worked across all the networks. 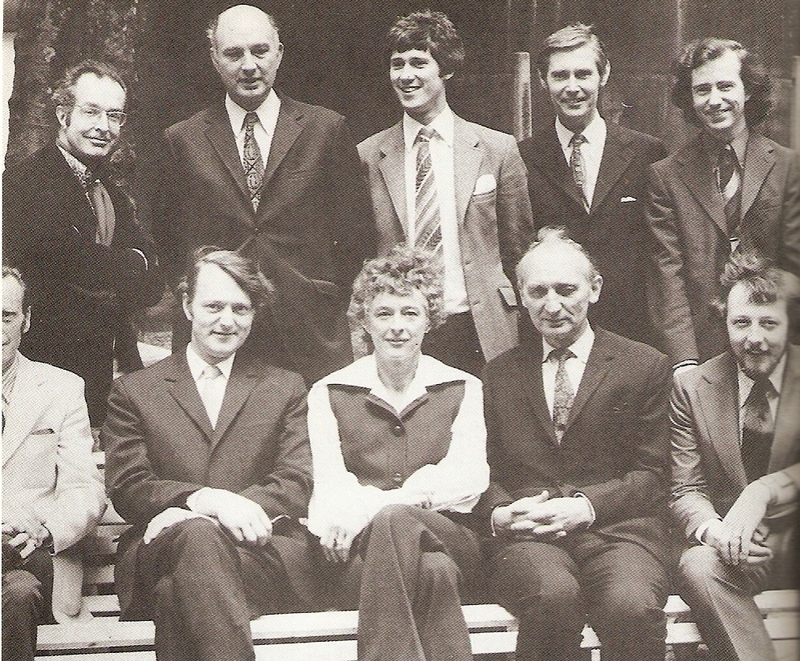 From 1972 Radio 3 had its own Presentation team led by Cormac Rigby. The post of Presentation Editor was later held by Piers Burton-Page and Donald Macleod. In 1995 the then Controller of Radio 3 Nicholas Kenyon had ambitions to shake-up the network, partly driven by the imminent arrival of Classic FM. That shake-up included the announcing team who were told that “not all of their services will be required in the future”. Three of the team stayed as ‘presenter-producers: Piers Burton-Page, Chris de Souza and Andrew Lyle; three remained as announcers: Penny Gore, Paul Guinery and Susan Sharpe; but three long-serving members were made redundant: Peter Barker, Tony Scotland and Malcolm Ruthven. This move signalled the end of the separate announcer role as the remaining announcers eventually became programme presenters and/or producers. Below are audio clips and ‘capsule’ biographies for the Radio 3 announcing team in the late 70s. I may add further team members at a later date by editing this post. Further audio and information may also be added and I would welcome any contributions from readers of this blog. Trained at RADA and worked for several years as an actor. Joined the BBC in 1962 as announcer across all the radio services. Presenter on Morning Melody on Radio 4 in the late 60s. Moved to the Radio 3 team in 1972 later presenter of Concert Hall. Reader on Quote…Unquote (Series 18). Retired in 1992. Principally a composer but joined the announcing team in 1974. Left the staff in 1979 but returned as one of the presenters of Mainly for Pleasure. Still on the air hosting Private Passions every Sunday. Joined the BBC as a studio manager before becoming announcer/newsreader on Radio 4 and then Radio 3 in 1977. Music Organiser for the World Service until 1985 when he was back at Radio as Presentation Editor. Became one of the presenter-producers from the early 1990s. First presenter of On Air. Left the BBC in 1997. Joined the BBC as announcer on the General Overseas Service in 1950. Moved to the Light Programme and then joined the Third Programme in 1952. Left in 1962 returning in 1967. Retired in 1982. Briefly an announcer with the South African Broadcasting Corporation. An actor recruited as an announcer in 1959 by Peter Fettes, by then Head of Staff Training. Worked on all networks but much featured on the Light Programme. Worked on programmes such as The Men from the Ministry, Friday Night is Music Night, It’s One O’Clock, Night Ride, Matinee Musical, The Best of Broadway, Mainly for Pleasure, Sounds Familiar and Whacko. Radio announcer from 1951 and with the Third Programme from 1954. Presented The Critics on the Home Service. Died in 2013. Joined the BBC as a secretary in 1944 before becoming an announcer on the General Overseas Service in 1946. Later on the Home Service, Light Programme and Third Programme. Left the BBC in 1962 to look after her family, returning in 1969 initially freelance and then back on the staff in 1970. Allocated to the Radio 3 team where she stayed until retiring in 1983. Claimed to be the first woman newsreader on BBC radio as Radio 3 announcers also read the news but this claim is usually attributed to Sheila Tracy on Radio 4 in 1974. Described as having a “dark brown voice” by The Listener (14 June 1979). In contrast one-time network controller Stephen Hearst wanted to “get rid of that terrible woman with the Kensington voice.” One of the readers on Quote...Unquote from 1994. Died in 2013. Joined the BBC as a radio announcer in 1965 in response to an ad in the New Musical Express. In 1968 attached as a programme planner for the Third Programme (by then part of Radio 3). Became the Presentation Editor in 1972. Presenter of Royal Repertoire and Come to the Ballet (on Radio 2). Left in 1985 to join the Catholic priesthood. Died in 2007. Worked in orchestral management including General Manager of the Ulster Orchestra. Joined Radio 4 in Northern Ireland in 1972 before transferring to Radio 3 as announcer and presenter of Playbill. Reader and narrator under the name Gregory York. Designed the Talking Notes service for the South Bank Centre. Became a reporter on leaving school and then emigrated to Australia where he worked on the Sydney Morning Herald and then as a reporter for ABC in Tasmania. Returned to UK in 1968 joining the BBC reported on Look East and then as radio news sub-editor Joined the Radio 3 announcing team in 1972. Created and produced The Arts Worldwide. Worked at Classic FM from its launch in 1992 until 1998. Now freelance writer and author (The Empty Throne and Lennox and Freda) and still occasionally broadcasting. BBC studio manager in 1956 becoming an announcer on the Light Programme in 1957. On the Music Programme in 64-65 with Your Midweek Choice. Was a newsreader on Radio 4 and presented Town and Around on BBC TV. On BFBS in Egypt in 1950 before joining the BBC as a studio manager in 1953. Worked in both radio and television as a drama director. For a time at the BBC in Manchester where he gave Ray Moore his first job in radio. Written and read the Morning Story on Radio 4. Announcer and newsreader on Radio 4 and then Radio 3 from 1979. Other Radio 3 announcers from this period were Robin Holmes, Anthony Sargeant, Anthony Burton and Andrew Lyle. A continuity announcer from 1982, and now presenter of Composer of the Week, Donald Macleod featured in a 1998 edition of the Radio Times. Biographical information has been compiled from my own notes, internet research, Who’s Who on Radio by Sheila Tracy and The Envy of the World by Humphrey Carpenter. Edit 23 April 2011: Add photos for Piers Burton Page and Cormac Rigby. Minor edit to David Willmott biog. Edits 2013: Updated audio for Patricia Hughes & Cormac Rigby.